WPP AUNZ has announced the appointment of two new senior executive positions as the group moves to drive deeper local management and collaboration. Kieran Moore (CEO of Ogilvy Public Relations Australia), has been appointed to the newly created position of CEO Public Relations and Public Affairs, and Ben Dixon (CEO Australia and New Zealand, Kantar) to the newly created role as CEO Data Investment Management. Moore and Dixon join John Steedman – recently appointed as Chairman Media Services – as part of WPP AUNZ’s Exco team reporting directly to Mike Connaghan and the WPP AUNZ Board. Both will oversee 26 WPP AUNZ agencies across the Group’s public relations, public affairs, and data investment management agencies with Moore spending 50 per cent of her time with Ogilvy Public Relations (Ogilvy PR) and the rest of her time on the new portfolio. Dixon will also remain a very important leader with Kantar. CEO WPP AUNZ, Mike Connaghan said: “In order to achieve our goal to deliver 100% of a client’s customer experience we need world class leaders at the helm of our business groups. With outstanding career credentials across their respective industries, Kieran and Ben are well placed to help move the Group through its next phase of growth. “Our vision when we became WPP AUNZ was to have a locally managed organisation with access to global links and tools,” said Connaghan. “The new management structure provides the oversight required to ensure agencies get the most out of being part of the largest marketing services group globally and at the same time ensures local autonomy remains intact. “Collaboration is the key to our success as a group. A Head of Unit approach will not only bring together specialist expertise and talent but allows for greater agility and an ability for quick and informed decision-making. “Our PR and data investment management divisions are now very large and very important drivers of the total Group growth. Our Group is blessed with some of the very best talent in our industry. Being able to call on Kieran and Ben, experts in their fields, overseeing, mentoring and creating better connectivity is going to be a huge benefit to all our people, companies and clients. “Both appointments are great testament to Kieran and Ben’s contribution to the industry and I am delighted they are joining the leadership team to work with me to drive growth opportunities across the Group,” Connaghan concluded. A recognised leader with more than 30 years’ experience, Moore brings both international and local experience in in PR covering public relations strategy development and implementation, reputation and crisis management and corporate positioning for business to business and consumer to her new role. As part of her remit Moore will oversee all public relations, public affairs and government relations agencies within the WPP AUNZ group including: Barton Deakin, Burson-Marsteller, Cannings, Cannings Purple, Hawker Britton, Hill & Knowlton, Howorth, Ogilvy PR, Ogilvy Impact, Ogilvy PR Health, Parker & Partners, PPR, Pulse Communications, Sibling, Social@Ogilvy, The Origin Agency and Maverick. A seasoned research, operations and business manager with over 20 years of experience in the industry Dixon was previously Managing Director, Millward Brown ANZ for eight years and before that was Executive Director with Nielsen for nine years. Agencies within his new remit include: Millward Brown, TNS, AMR, ORU, Kantar Vermeer, Added Value, Colmar Brunton Australia, TNS New Zealand and Colmar Brunton New Zealand. Ben Dixon said of his new role: “WPP AUNZ has an unrivalled stable of specialist agencies who can collaborate for the benefit of clients. Each with a unique skillset, as a Group they will have the ability to leverage expertise and best practise from around the globe, whilst driving synergies and appropriate efficiencies for each of the businesses. Dixon’s new position is effective immediately, Moore commences in her new role from June 1, 2016. Connaghan will continue to provide a leadership role driving collaboration across the remaining agencies within the group. 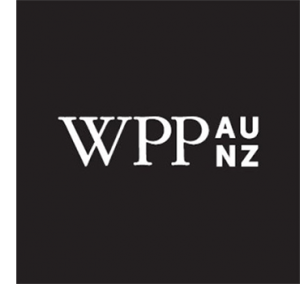 WPP AUNZ is the region’s leading marketing communications and content group.